Franz Dörr was born on 10 February 1913 at Mannheim. 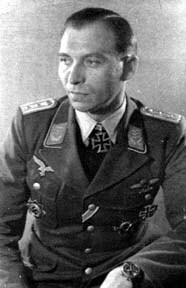 During 1939-1940, Dörr served as a reconnaisance pilot in Poland and over the Western front. In spring 1941, Feldwebel Dörr was transferred to 1.(Erg. )/JG 3, based in Holland. He claimed his first victory on 29 September 1941, when he shot down a RAF Wellington twin-engine bomber. On 1 January 1942, 1.(Erg.  )/JG 3 was redesignated 7./JG 5 and relocated to the Northern front. By the end of 1942, Dörr had raised his victory total to 12. He recorded his 20th victory on 18 August 1943. Dörr was appointed Staffelkapitän of 7./JG 5 on 14 September 1943. By the end of 1943, Dörr had increased his victory total to 37. May 1944 was to see Dörr begin an amazing series of victories: six victories on 16 May, four on 25 May, five on 26 May, four on 15 June, eight on 17 June, five on 27 June, seven on 28 June, five on 4 July and four on 17 July. Oberleutnant Dörr was awarded the Ritterkreuz on 19 August for 99 victories. On 1 August 1944, Dörr was appointed Gruppenkommandeur of III./JG 5. He claimed six victories on 23 August to record his 100th through 106th victories. In October, Dörr claimed 22 Russian aircraft shot down, including six on 9 October and five on 21 October. Dörr survived the war but died on 13 October 1972 at Konstanz.